The California Learning Communities for School Success Program (LCSSP) provides funds to local education agencies to support programs aimed improving student outcomes by reducing truancy and supporting students who are at risk of dropping out of school or are victims of crime. The LCSSP is the result Proposition 47, approved by voters in 2014, which reduced the penalties for certain non-serious and non-violent offenses and allocates 25% of the resulting statewide savings for LEA grants. The goals of the LCSSP are to support evidence-based, non-punitive programs and practices employed to keep the states most vulnerable pupils in school. These programs and practices must complement and enhance the actions and services identified to meet the LEAs goals as identified in the LEAs Local Control and Accountability Plan (LCAP). The proposed grant is not expected to address the needs of all students, nor is it expected to address the needs of all students in each of the numerically significant pupil subgroups at the school. The proposed grant should clearly identify actions and services specified in the LEAs LCAP and describe how the LCSSP grant will complement and enhance the LEAs efforts to address its identified needs and challenges. Implement programs and activities to improve attendance and reduce chronic absenteeism. Implement restorative practices to improve retention rates, reduce suspensions and other school removals, and reduce the referral of pupils to law enforcement agencies. Implement activities that advance social-emotional learning, positive behavior interventions and supports, culturally responsive practices, and trauma-informed strategies. Establish partnerships with community-based organizations to support the implementation of evidence-based, non-punitive practices that further the goals of keeping the states most vulnerable students in school. Increase staffing within an LEA whose primary purpose is addressing ongoing chronic attendance problems. Has a chronic absenteeism, out-of-school suspension, or school dropout rate, which exceeds the statewide average for the general pupil population or a numerically significant pupil subgroup as identified in their district LCAP. The LEA is in a community with a crime rate that exceeds the state average. The LEA has a œsignificant representation of foster youth among its pupil enrollment." The first grant cohort (Cohort 1) received funding for FY 201718 through FY 20192020. The total available grant funding for Cohort 1 was budgeted to approximately $37,200,000. Individual schools are not eligible to apply. Only the LEA may apply on behalf of a school or schools within the LEAs jurisdiction. Community agencies, private schools, individual public schools, and state special schools are not eligible to apply for an LCSSP grant. 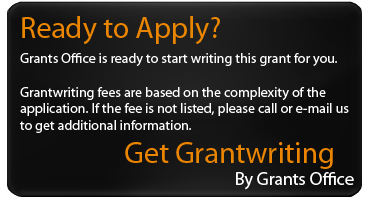 They may however, participate as a grant partner. Expenditures for land, buildings, or other intangible capital assets, including items acquired through leases with option to purchase and capitalized equipment costs in excess of $5,000. Applicants are encouraged to review Procedure 770, Distinguishing between Supplies and Equipment, in the California School Accounting Manual (CSAM) for further discussion regarding capitalized equipment, non-capitalized equipment, and supplies. Other more specific prohibitions included in the grant terms found in the General Assurances. Eligible applicants are LEAs within the State of California that serve students in K12, inclusive. This includes school districts, all charter schools, and county offices of education (COEs) in their role as providers of direct student services in COE-operated schools. Letters of Intent were to be submitted by December 14, 2018. Applications are to be submitted by January 23, 2019 by 4:00 p.m.
Student Enrollment: Funded applicants will receive $50 per year per student enrolled in the LEA with a minimum of $15,000 and a maximum of $2 million per LEA per three-year grant period. Schools Receiving Direct Funds and Services: For applications focused on the needs of students in a limited number of schools in the LEA, the CDE will establish a grant level that reflects the enrollment in schools receiving grant funds and services. The grant amount will be determined by funding the total number of students enrolled in schools receiving direct funds and services at $50 per enrolled student per year. In no case will total LEA funding fall below $15,000 or over $2 million for the full three-year grant period. Consortium Applications: Consortium grant amounts will be determined by funding the total number of students enrolled in each of the LEAs in the consortium at $50 per student per year. Where only selected schools in any of the LEAs participating in a consortium receive grant funds and services, the total enrollment in each participating school will be used to determine the total consortium funding. In no case will total LEA funding fall below $15,000 or over $2 million for the full three-year grant period. CDE Funding Review: CDE reserves the right to review and adjust requested budget amounts prior to the final grant award. An LEA that receives a grant is required to provide cash expenditures or in-kind matching funds or services equal to at least 20 percent of the total grant award. LEAs are encouraged, to the extent possible, to exceed the 20 percent match requirement enabling it to sustain the activities or programs supported by the grant beyond the three-year grant period.